This year, I am taking on a big goal, and it is to become more of a language advocate. First, I had to admit that I had not really been a language advocate. In some ways, I thought that I was already doing so. I taught a language, and I believed that if students enjoyed my class they would see the benefit of learning a language and keep studying it. However, I have realized that is not enough. 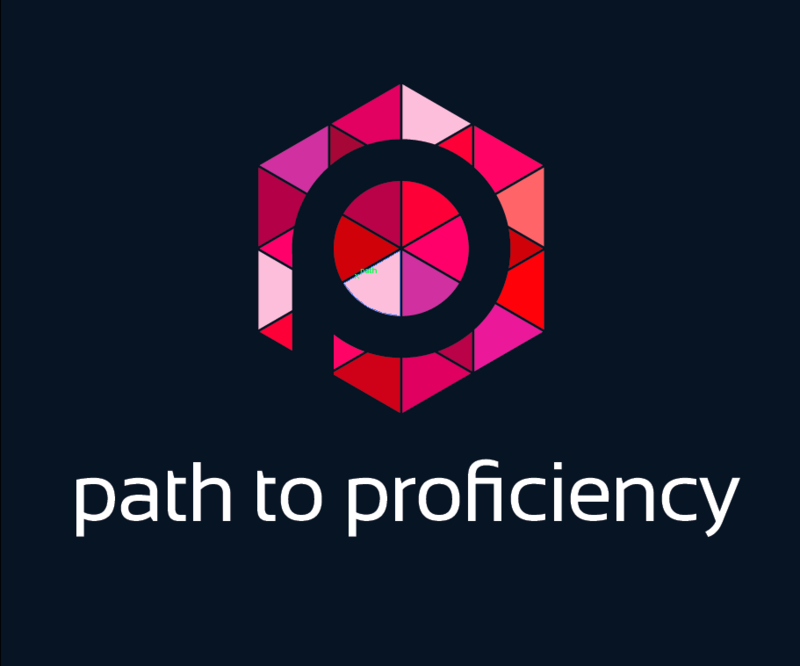 We all know how long it takes for a student to actually become proficient. Two years of a foreign language will not give them a strong proficiency. Also, students have many other passions that cause them to edge language out of their studies. My one class in Middle School or Spanish 2 with them is not enough to motivate them to continue to study language. I want to teach and reinforce the idea that learning a language is important, so they will continue their language studies a long time after they have been in my class. This year, I plan on not only letting students know why they should study a language, but also how I became proficient myself and ways for them to keep up their proficiency. An easy way to start showing students the importance of learning another language is to display some infographics throughout my room and our foreign language hallway to emphasize the importance of foreign language. Middlebury Interactive Languages has already done the hard work of putting together some excellent posters to display for free! You can just print, laminate (or not!) and hang them up all around your school. You can also draw attention to the facts in the beginning of school including back to school night. When I make a display, I can continue to post ideas about summer programs for students. I want to add the deadlines on my class calendar as another reminder for students. I want to continue to push language advocacy throughout the year in our school. Last year, my department switched our focus away from the traditional games during National Foreign Language Week, and we interviewed alumnae from our school who were currently using language frequently for a video at our all school assembly. One alum talked about how she still used her Latin in her studies and another alum had traveled extensively and talked about how much he valued his language class. It was very effective to hear from someone other than your language teacher that languages are useful. I also hope to have students speak about how they are using their foreign language when they come back for alumnae events. If you do not have an alumnae network to use, you can check out these various videos under the different languages in the advocacy program Lead with Languages. To continue my push of an overall language advocacy, the Lead with Languages campaign publicizes ideas for scholarships and a job board that requires applicants to speak a foreign language. I am teaching more seniors this year, so it would be even more important for me to share this with them. While our college counselors are great advocates of our foreign language program, I want to pass this information to them as well. This would also be a great resource to explore when you have a substitute teacher who does not speak your language or when you have a few minutes left in class. By bringing awareness of various programs, I hope to expose students to everything they can do with language. This year, I also want to explain how long it took me to become proficient when I was studying Spanish- and many of my blunders along the way. I have a few stories of when I did ridiculous things learning Spanish like assuming Bernanda Alba was a male when I was skimming La Casa de Bernarda Alba before writing a whole paper on male oppression in the book. Or when it was my last year in my university program, and I emailed a professor thanking him and received an email back saying that I had confused my use of por and para. I started learning Spanish when I was in Middle School like many of my students, and I continued onto get a major in Spanish in college and study abroad. I was unable to learn Spanish in two, three or four quick years. My story of becoming proficient can be my students’ as well, but they have to see where I failed to see that it can be achievable for them. This year, I want to look more at reaching out to more native speakers and giving students a variety of outside homework. I want to tweet to a few Spanish celebrities that we discuss in class, and I hope to encourage my own students to do so. I also hope that by giving students outside homework that involves looking at what they like such as listening to music, listening to podcasts, reading or watching different clips of shows that they will be more motivated to continue to do this even if they are not in language classes. I did a mini telenovela unit with my class one year, and a few of my students watched the whole series! Many teachers call this choice homework, and I believe that it will show students how language fits into their lives outside of an academic setting. I hope to inspire my students to continue to study language and tell others the importance of what they are doing. I would love more help and ideas though! How are you a language advocate? What do you do to motivate students to keep studying your language? I am so glad that this was helpful! I am excited to start promoting foreign languages more, and I wish that I had started sooner. But that is the truth with many things! I created an advocacy project for my students to research the value of language study and promote what they are learning in class to the campus community. I hear too often that the classes aren’t worth it because they won’t be proficient in 1-2 years, I think K-16 educators need to work together to start them early and encourage them to keep going as long as they can! I enjoyed your post, and I think it is wonderful that you are constantly reflecting on the projects that you have students do. I hope that this one will be successful- it looks great! I agree that we can all join together to continue to push for more advocacy. There are benefits to even just two years of language study- but ideally, students would practice a language for much longer.